I'm a big fan of goals. Not resolutions, but goals. I try to take some time every year and write down things I want to accomplish. Here's the list I came up with for 2016, broken down by category...with my commentary. Because I always have something to say. Follow a daily scripture writing plan for 365 days. I happened upon some friends who were following a December scripture writing plan and I joined them and LOVED it. Loved it so much that I want to do it for all of 2016. I found monthly plans by doing a quick Pinterest search (you can follow my scripture writing board here) and bought a cute notebook at Target and am all ready to go tomorrow. It's been a surprising way for me to really focus on what I'm reading. Reading + writing = win win! 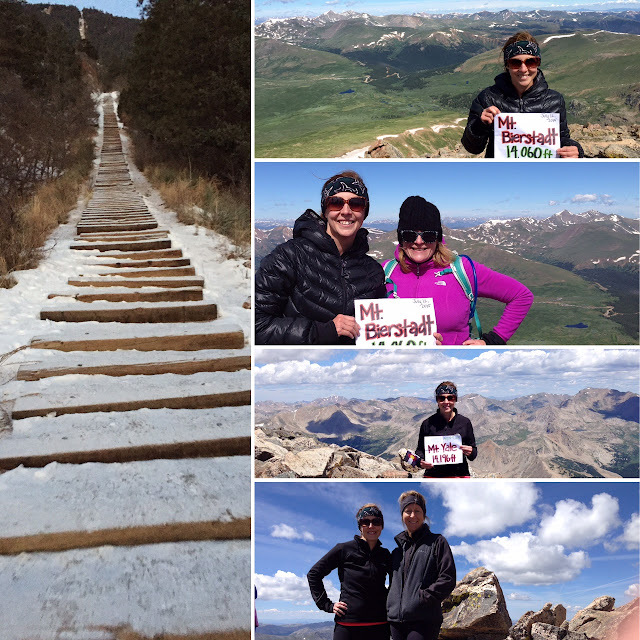 Hike at least two 14ers. This is my goal every year. Happy to have completed it the past four years! 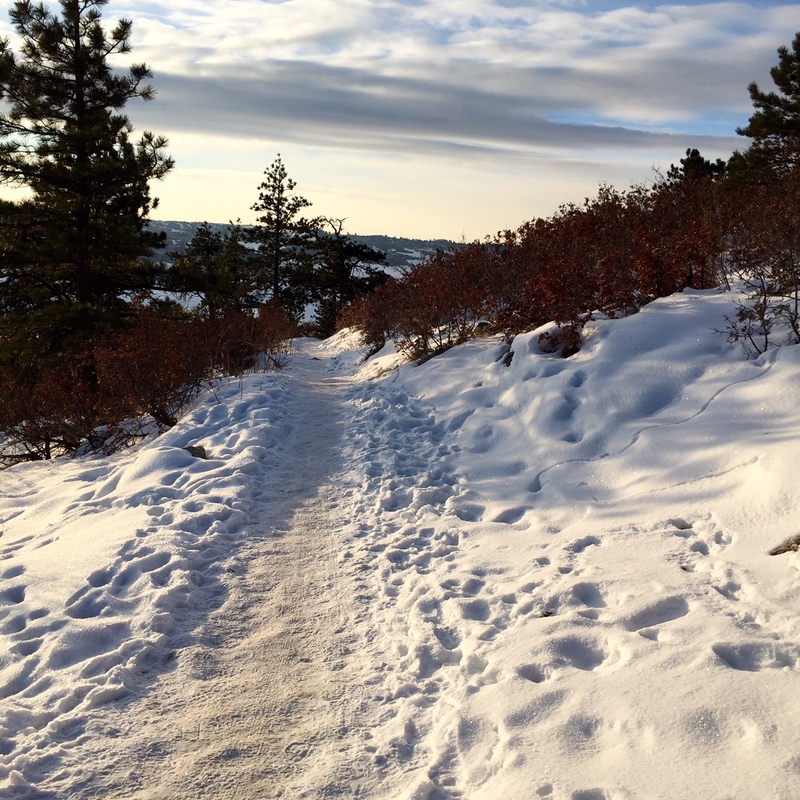 Climb The Incline ten times this year. I finished 2015 with 8 climbs up. Proud of that. Log 750 outdoor/trail miles. My goal used to be 1000. That was before I started back to school. 750 will challenge me plenty. Take three classes in 2016 towards my nutrition therapy certification and keep a 4.0 GPA First up in 2016, BioChem. I start Monday and am slightly freaked out about the intensity of this class. Read 12 books that are not school-related. Ideally, this would be one per month but I'm not as much about the "how" as the "why". The "why" for me is that my brain needs a break from intense information plus I want to remember that I enjoy reading. I almost forgot that little fact after a semester of Anatomy & Physiology. Smile. Pay cash for everything, including college. Gulp. We've been on a cash-only journey for 7-8 years. I'm beyond grateful for God's provision for us, but I'm not gonna lie--this goal stresses me out. In 2016, three-fifths of my family will be enrolled in an institution of higher learning. Ch-ching. Trusting God to see this one to fruition. Increase passive income. I love brainstorming about creative ways to increase our earning potential. I have tons of ideas; I just need some implementation skills. Forgive readily. I'm slow to come around to forgiveness. I hold grudges. I keep the other person on the hook for awhile before I can let things go. Really, really asking the Lord to change my heart here. I know I can't do this on my own. Engage. Be "all in" with my husband and children. The years are flying by. With our oldest in college and his sister following on his heels, I realize that the time I have with them at home is dwindling. If that means putting down my phone, turning off the television, listening and paying attention and asking questions and lingering around the table, then yes, that's what I'm after. 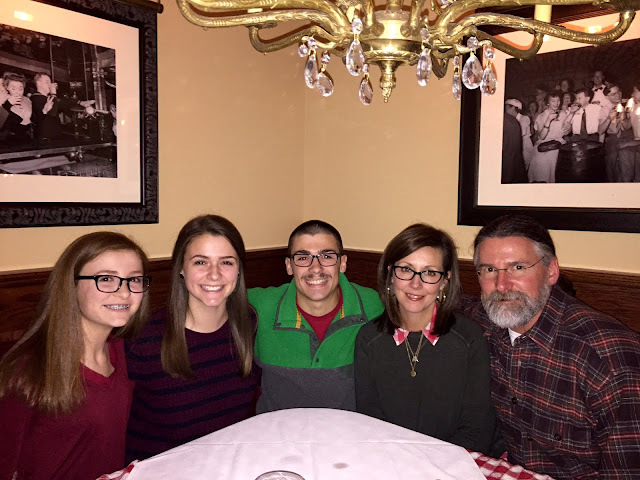 Keep it together when TWO children leave for college in the fall. I'm sorta kidding here. Sorta, but I'm going to need a lot of grace for myself next fall. Sending our first-born 1000+ miles away did a number on me this year. I'm already dreading sending two away at once. Definitely going to feel the impact of that. Reserve one day each week for self-care and/or leisure. And use this time to do something I enjoy. 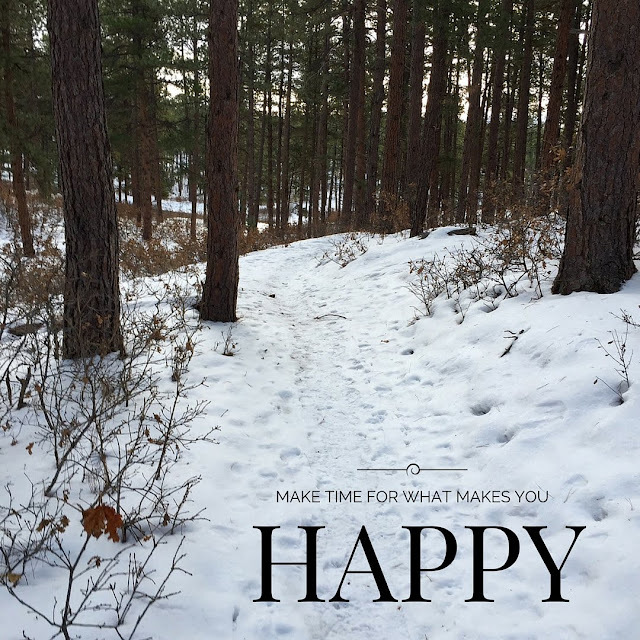 Most of the time that is hiking, but other times it might be shopping, or meeting friends for lunch or just sitting in my pajamas and watching television. I tend to focus so much on the always-looming to-do list that leisure or fun gets nixed. My goal is to make it priority! That's all I've got but it's a good list! Here's to 2016. Happy New Year!!! Current Read: Still plugging away at A&P textbooks but I am almost finished with the semester--hallelujah! I started reading The Martian while traveling over Thanksgiving break so I want to finish that as soon as my semester is over. It's very good. 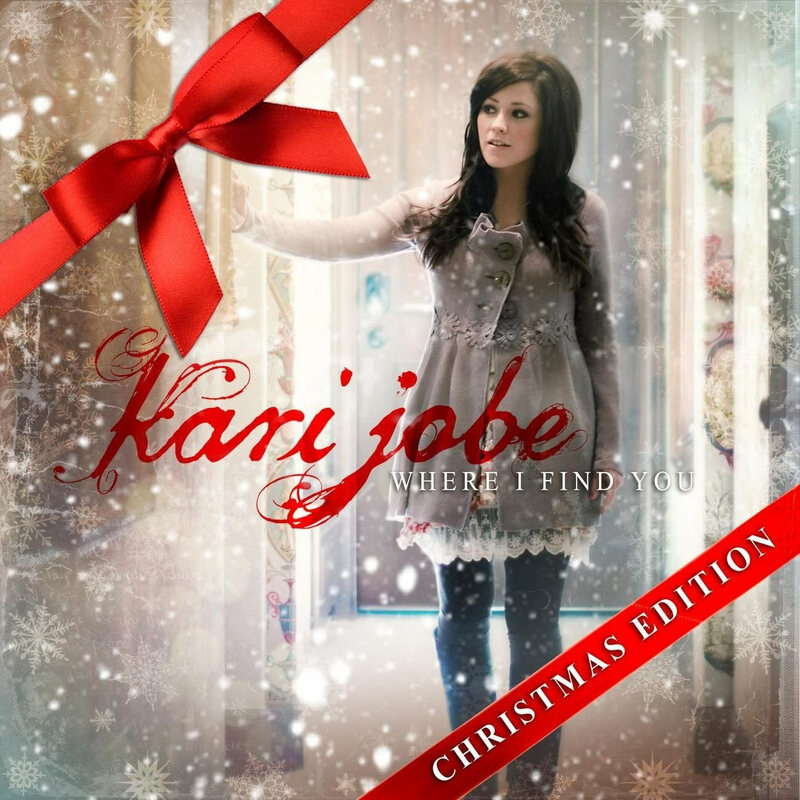 Current Playlist: Kari Jobe Where I Find You: Christmas Edition is on repeat these days. The whole album is beautiful. Lots of other Christmas music is on my list as well. Current Color(s): Gray. It's my favorite. Current Food: I've had some pretty amazing Honeycrisp apples lately--that is my favorite variety and they've been extra-delicious the past few weeks. I'm also loving coconut milk--the kind in a can, not carton. I'd never bought it before my Whole30 but I love it. I've been putting some in my coffee every morning. I started drinking coffee again after a 6+ month break. Cold mornings + coffee are just too perfect together. Current Favorite Favorite: Candy Cane Chapstick + tights with boots + peppermint tea + plaid shirts and puffer vests + LaCroix grapefruit water + the IF: Equip Advent study + trading clothes with my sister while in Arkansas last week. Current Addiction: Can't think of anything right now. I guess that's a good thing? Current Need: I could use a day spent completely at home. I'm behind on pretty much everything in my life right now. I'm not usually this far off my game and it's kinda stressing me out. Current Randomness: I took this photo on my hike yesterday. My week was busier than normal, but I wasn't about to cancel my Friday hiking plans. Nature is so calming for me. Current Triumph: I finished my Whole30. It was such a great experience. I need to post about it in detail but I feel much lighter, clear-headed, have more energy, am sleeping well and just generally feel better. Sometimes you don't realize how "off" you've been until you feel really, really good. Current Blessing: My church. I was at a meeting on Wednesday night followed by our Advent service and I was looking around the room, feeling incredible love and respect for so many of the people in the room with me. It's a community of imperfect people but they sincerely love the Lord and their lives bless mine in some pretty unique ways. I feel very grateful. Current Mood: My family would probably not say I'm in a good mood. I'm trying but stress makes me crabby! Current Excitement: Will comes home in less than 2 weeks and he'll be here for a month! Current Plans For The Day: It's a full day...but I'll survive.